Building on Chicago’s rich history as a center of jazz music creation and innovation, CYSO’s Jazz Orchestra is dedicated to the study and performance of classic and contemporary big band jazz music. The orchestra is comprised of 20 – 25 high school-aged student musicians under the direction of jazz musician and educator Pharez Whitted. The Jazz Orchestra performs everything from classic big band swing charts steeped in jazz tradition to new works that incorporate the current and emerging styles defining the genre today. ENTRANCE AUDITIONS FOR THE 2018-2019 CYSO SEASON ARE NOW CLOSED. Auditions for CYSO’s Jazz Orchestra will be announced in May 2019! Jazz Orchestra weekly rehearsals take place on Tuesday evenings from 6:00 – 8:30 pm at CYSO’s rehearsal space in the Fine Arts Building, Room 833. Tuition is $750 for the season (September-May). Financial assistance is available. Jazz Orchestra sectionals are led by some of Chicago’s top professional musicians and are designed to provide additional assistance in preparing season repertoire. Sectionals will be held throughout the season on regular rehearsal days at the Fine Arts Building. CYSO’s Jazz Orchestra performs throughout the season at locations around the Chicago area. 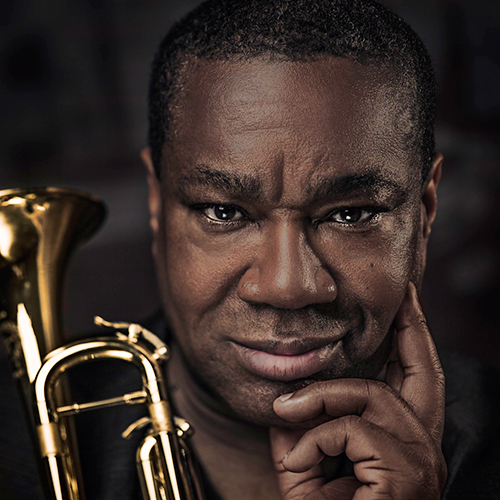 Meet CYSO’s Jazz Orchestra Director, Pharez Whitted.